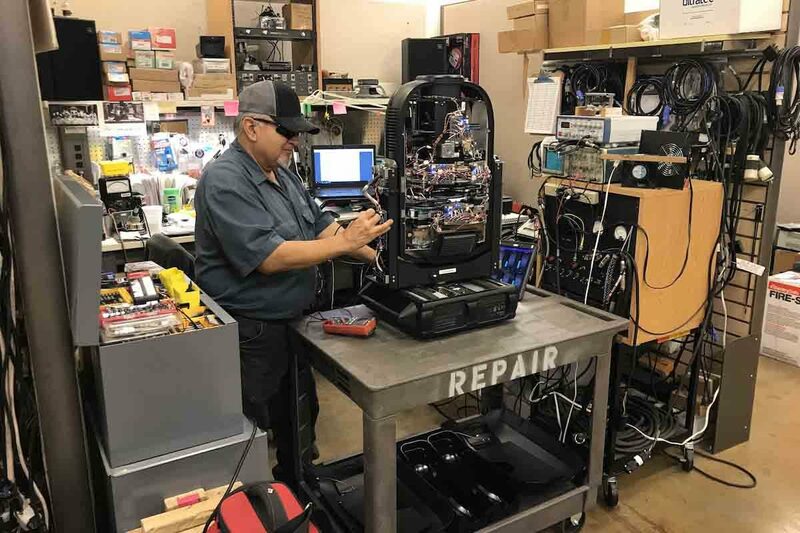 The LD Systems Repairs Department has several fully equipped technical benches, a full service speaker reconing lab and is outfitted with the latest tools used for equipment testing and repair. LD Systems has a large inventory of OEM parts in stock to ensure rapid repairs on the equipment we service. All of our technicians are factory trained and together combine decades of cumulative experience. Parts are available for purchase or order. Please contact us to discuss your repair needs. All warranty repairs must be accompanied by a proof of purchase. All repairs warranted for 90 days from completion. Estimates are $100.00, payable in advance and will be applied to labor charges if repair is authorized by customer. Items not claimed within 45 days of completion are subject to sale. Parts orders must be paid for in full upon placing order. All electronic parts and diaphragm sales are final. No warranty on diaphragms that are not installed by LD Systems. Diaphragms cannot be accepted for return, refund or exchange. No equipment will be released without claim check. Some repairs may require an advance deposit.